Busy Buddy Squeak N Treat Booya Large Busy Buddy Squeak ‘n Treat toys are the first treat-dispensing toys that also squeak! Fill the toy with your dog's favorite treats. The treats pop out as your dog plays. The built-in reward keeps your dog actively engaged in healthy play instead of destructive chewing. The squeak adds to the excitement! The squeaky sound appeals to your dog's natural prey drive. The durable rubber design has a funky bounce for games of fetch or tug-of-w..
Busy Buddy Squeak N Treat Booya Medium Busy Buddy Squeak ‘n Treat toys are the first treat-dispensing toys that also squeak! Fill the toy with your dog's favorite treats. The treats pop out as your dog plays. The built-in reward keeps your dog actively engaged in healthy play instead of destructive chewing. The squeak adds to the excitement! The squeaky sound appeals to your dog's natural prey drive. The durable rubber design has a funky bounce for games of fetch or tug-of-..
Busy Buddy Squeak N Treat Booya Small Busy Buddy Squeak ‘n Treat toys are the first treat-dispensing toys that also squeak! Fill the toy with your dog's favorite treats. The treats pop out as your dog plays. The built-in reward keeps your dog actively engaged in healthy play instead of destructive chewing. The squeak adds to the excitement! The squeaky sound appeals to your dog's natural prey drive. The durable rubber design has a funky bounce for games of fetch or tug-of-w..
Busy Buddy Squeak N Treat Ooga Large Busy Buddy Squeak ‘n Treat toys are the first treat-dispensing toys that also squeak! Fill the toy with your dog's favorite treats. The treats pop out as your dog plays. The built-in reward keeps your dog actively engaged in healthy play instead of destructive chewing. The squeak adds to the excitement! The squeaky sound appeals to your dog's natural prey drive. The durable rubber design has a funky bounce for games of fetch or tug-of-wa..
Busy Buddy Squeak N Treat Ooga Medium Busy Buddy Squeak ‘n Treat toys are the first treat-dispensing toys that also squeak! Fill the toy with your dog's favorite treats. The treats pop out as your dog plays. The built-in reward keeps your dog actively engaged in healthy play instead of destructive chewing. The squeak adds to the excitement! The squeaky sound appeals to your dog's natural prey drive. The durable rubber design has a funky bounce for games of fetch or tug-of-w..
Busy Buddy Squeak N Treat Ooga Small Busy Buddy Squeak ‘n Treat toys are the first treat-dispensing toys that also squeak! Fill the toy with your dog's favorite treats. The treats pop out as your dog plays. The built-in reward keeps your dog actively engaged in healthy play instead of destructive chewing. The squeak adds to the excitement! The squeaky sound appeals to your dog's natural prey drive. The durable rubber design has a funky bounce for games of fetch or tug-of-wa..
Busy Buddy Squeak N Treat Troog Large Busy Buddy Squeak ‘n Treat toys are the first treat-dispensing toys that also squeak! Fill the toy with your dog's favorite treats. The treats pop out as your dog plays. The built-in reward keeps your dog actively engaged in healthy play instead of destructive chewing. The squeak adds to the excitement! The squeaky sound appeals to your dog's natural prey drive. The durable rubber design has a funky bounce for games of fetch or tug-of-w..
Busy Buddy Squeak N Treat Troog Medium Busy Buddy Squeak ‘n Treat toys are the first treat-dispensing toys that also squeak! Fill the toy with your dog's favorite treats. The treats pop out as your dog plays. The built-in reward keeps your dog actively engaged in healthy play instead of destructive chewing. The squeak adds to the excitement! The squeaky sound appeals to your dog's natural prey drive. The durable rubber design has a funky bounce for games of fetch or tug-of-..
Busy Buddy Squeak N Treat Troog Small Busy Buddy Squeak ‘n Treat toys are the first treat-dispensing toys that also squeak! Fill the toy with your dog's favorite treats. The treats pop out as your dog plays. The built-in reward keeps your dog actively engaged in healthy play instead of destructive chewing. The squeak adds to the excitement! The squeaky sound appeals to your dog's natural prey drive. The durable rubber design has a funky bounce for games of fetch or tug-of-w..
Gigwi Ball Large 2pk 7 X 7 X 7CM GiGwi BALL which is made to last even with everyday use. It features absolutely new and durable TPR technology and designed in the classic tennis C-shape with a textured pattern and squeaker. ..
Gigwi Ball Small 3pk 5 X 5 X 5CM GiGwi BALL which is made to last even with everyday use. It features absolutely new and durable TPR technology and designed in the classic tennis C-shape with a textured pattern and squeaker. ..
Gigwi Crazy Ball Green Blue Medium 9 X 9 X 9CM Gigwi Crazy Ball has the unique combination of rubber core squeaker ball and fresh and funny plush felt covering the toy. Crazy balls are available in different styles and juicy colors, so you and your dog will not stay unnoticed anywhere you go. They perfectly suit indoor and outdoor game needs. ..
Gigwi Crazy Ball Orange Medium 9 X 9 X 9CM Gigwi Crazy Ball has the unique combination of rubber core squeaker ball and fresh and funny plush felt covering the toy. Crazy balls are available in different styles and juicy colors, so you and your dog will not stay unnoticed anywhere you go. They perfectly suit indoor and outdoor game needs. ..
Gigwi Duck with Plush Tail 18 X 7 X 6.5CM Push To Mute Ducks series is made out of a unique combination of soft but durable rubber and plush materials.Nylon strap together with plush tail form a handle which makes this dog toy very comfortable to carry and play with. ..
Gigwi Dumbbell Orange Blue 7.5 x 7.5 x 7.5CM PUSH TO MUTE series lets your pet have loud squeaky fun while playing with the toy. But it also can be easily turned into a quiet mode for a more soothing and noise-free game. Push To Mute is made of thermoplastic rubber and high quality strap, specially designed to make your game more interesting and varied. ..
Gigwi Johnny Stick Push To Mute 20.5 X 5.5 X 5.5CM MUTE MY DOG series allows your pet to have loud squeaky fun while playing with the toy. But also can be easily turned into quiet mode for a more soothing and noise-free game. MUTE MY DOG is made of thermoplastic rubber and a high quality strap, specially designed to make your game more interesting and varied. ..
Gigwi Owl Orange Blue 15.5 X 10 X 9CM GiGwi Owl is one of the latest Push To Mute series toys made in two color TPR. This toy’s shape is designed like two medium and large size balls connected together, which makes it perfect for both medium and large dogs. ..
Gigwi Plush Friends Durable Hippo 27 X 16 X 9 CM Despite the great number of different materials most of the dogs still prefer to play with plush toys. GiGwi Plush Friendz are ideal to fetch, snuggle, or chew. Soft toys retain your pet’s scent to keep him coming back to it again and again. 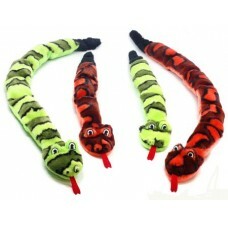 Cute, soft and cuddly Plush Friendz feature charming designs made from quality, nontoxic materials. ..
Gigwi Regular Ball Orange Blue 7.5 x 7.5 x 7.5CM PUSH TO MUTE series lets your pet have loud squeaky fun while playing with the toy. But it also can be easily turned into a quiet mode for a more soothing and noise-free game. Push To Mute is made of thermoplastic rubber and high quality strap, specially designed to make your game more interesting and varied. ..
Gigwi Rugby Ball Orange Blue 7.5 x 7.5 x 7.5CM PUSH TO MUTE series lets your pet have loud squeaky fun while playing with the toy. But it also can be easily turned into a quiet mode for a more soothing and noise-free game. Push To Mute is made of thermoplastic rubber and high quality strap, specially designed to make your game more interesting and varied. ..